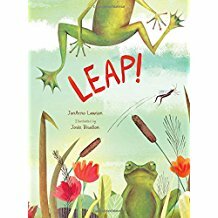 A playful story with lyrical text and charming illustrations that will work beautifully as a read-aloud and could easily be adapted into a rollicking readers theater production. Sophisticated yet playful, this is an unusual, original work recommended for large picture book collections. This is a book to savor slowly and then revisit again and again.